Join us for a fun day of Golf. 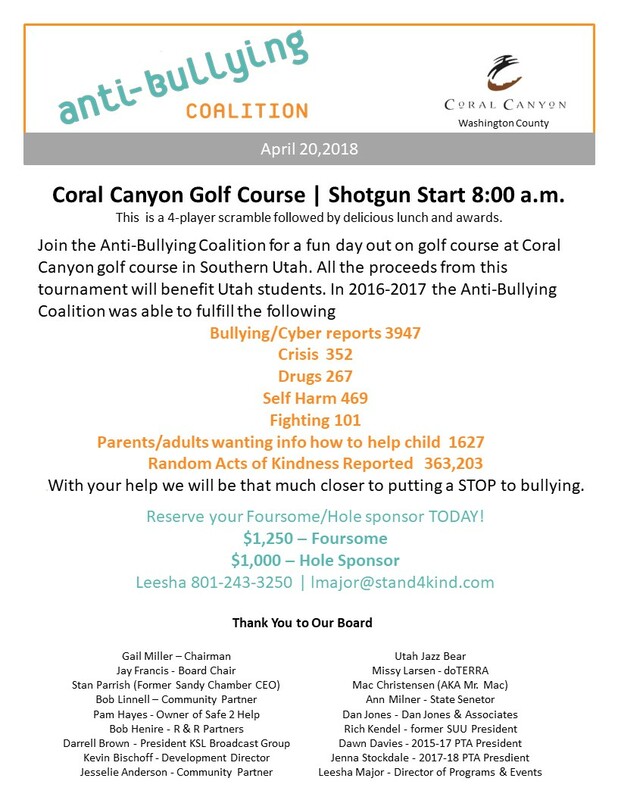 All proceeds will benefit Utah students. Copyright © 2016 Utah Anti-Bullying Coalition. All rights reserved.